Here is a great resource for those with a limited choir budget. Quickly prepare beautiful choral arrangments of hymns using the resources found in this book combined with the 1985 edition of the LDS hymn book (Green hymnbook used today). Simple "Road Map" pages, which may be photocopied, instruct the choir's use of the hymn book. Conductor and the pianist work directly from the score. December 05, 2018 Great for what it is! kind of do need the music at that point so they can learn the harmonies. Can't do it straight out of the hymn book. Overall though I would definitely recommend this! January 07, 2014 We Sounded Like Angels! 't have to think about which parts sing what lines etc. My particular choir is a very talented choir and struggled with just using the hymn book or the "road map" for their notes and cues. They are note readers and REALLY wanted to see their notes... that was the biggest complaint! Other than that, it truly is a great help for the Ward Choir Director!!! Would have rated it a 5 if the "road maps" actually worked for a note reading (and highly musical without my help) choir! 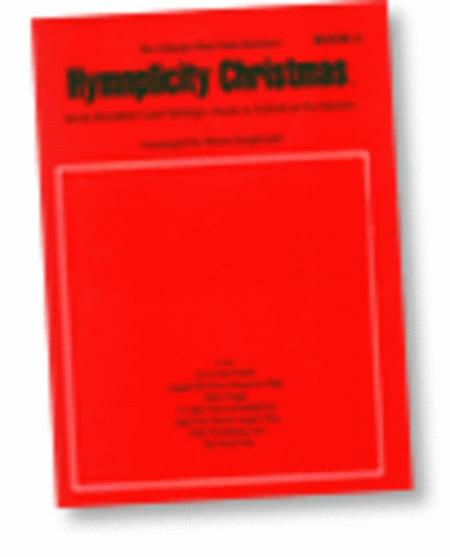 This is the 5th Hymnplicity book I've bought. I think they're great. I love the accompaniment for each hymn and my small choir does well with them. 23 of 49 people found this review helpful.